You receive a text message for an offer to receive a great prize like an MP3 player. All you have to do is take part in a trivia contest and answer a few questions correctly. However, the questions, which start out easy, become increasingly harder to answer — seemingly impossible. Then come the very high rates the senders charge, which can be a much as $4 for each message received. Unfortunately, these SMS scams, also known as SMSishing (a variant of the word phishing), take advantage of people who believe these offers are legitimate. Similar scams, says SCAMwatch, include misleading offers for “free” ring tones, which end up being a premium-rate service, or mysterious text messages that can be expensive if the recipient replies. The text message doesn’t provide details about how to stop receiving more messages. The first text message for a contest doesn’t include all the conditions and terms. You must send a return text to enter a competition. LifeLock, which guards against identity theft, notes that because the text seems to be from a reputable source, many recipients respond. The common result is often identity theft. According to LifeLock, once the recipient has called the given telephone number or visited the fraudulent website, he or she is asked for personal information. This can include important details such as bank account and debit card numbers. You don’t want that sensitive information in the hands of a stranger. SCAMwatch offers a few pointers to protect yourself against SMS scams. First of all: Use common sense. Read the fine print, because claims of free offers many times have hidden costs. If you don’t recognize a number of a text message or missed call, don’t respond. Also, SCAMwatch warns against phone numbers beginning with 190 because they are charged at premium rates. Watch out, too, for SMS and MMS numbers that begin with 19; these are charged at expensive rates as well. Snopes.com has a list of hoaxes for which people should be on the lookout. One involves a text message involving a baby who needs a heart transplant. This is similar to hoaxes in which a large company or organization will donate a sum of money each time a message is forwarded. The prankster obviously preys on people’s humanitarian instincts. Snopes recommends the old-fashioned way of helping children: donate money or time, not forwarding a fraudulent text message. Even the most cautious people can fall victim to an SMS scam. What’s the firsts step to recovery? SCAMwatch said if, for instance, you decide not to participate in a trivia competition but you continue to receive messages, tell your phone company the charges are being made without your permission. It also recommends contacting your bank or credit union if you believe someone has gained access to your account. 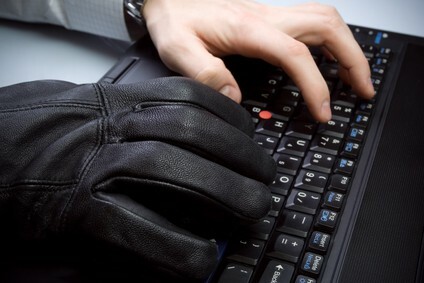 LifeLock says to take a proactive approach to SMSishers: Stay alert. High-tech thieves are always trying to find creative ways to get your money, so be just as vigilant in watching out for their scams.